In the beginning there was beer. The unique bottom-fermented pale lager born of the art and courage to follow a new, unexplored path. It gave the name to what is now the bestselling type of beer in the world (Pils, Pilsner). It has kept its uniqueness and privileged status to this day. It is known throughout the world as Pilsner Urquell. 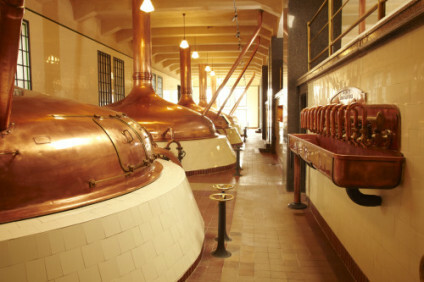 Over time the range of beers offered by Plzeňský Prazdroj grew to include other great beer brands such as Gambrinus, Radegast, Velkopopovický Kozel, Primus and Klasik. Birell became the most widespread Czech non-alcoholic beer, accompanied by its flavoured variations. The beer categories are rounded off by the Master special beers. 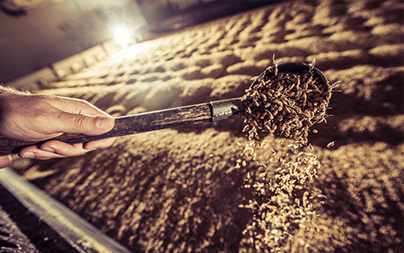 Quality is guaranteed by our careful selection of ingredients and particularly our recipe, proven over all these years, as well as the art of the brewers that has been handed down through the generations. Other alcoholic beverages produced by Plzeňský Prazdroj include the popular Kingswood ciders and the sparkling Frisco. Beers and beverages from Plzeňský Prazdroj breweries are now exported to more than 50 countries around the world. In 1842 the townspeople of Pilsen with the privileged right to brew beer joined forces to found and build the Burghers’ Brewery. The first batch of lager, which would go on to conquer the world as Pilsner Urquell, saw the light of day on 5th October that year. It was brewed by Josef Groll, the brewer in the former Burghers’ Brewery. With its crisp and delicious flavour the lager was soon a hit in this country and abroad. This was the start of the story of this legend amongst beers. Join us to reveal all its secrets and some of the interesting events in the history of the Plzeňský Prazdroj breweries. 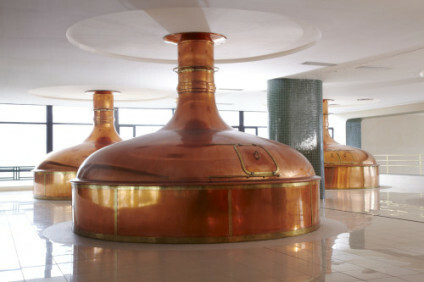 The art of brewing great beer is not only about the careful selection of the hops and barley, but also to production processes that have been proven throughout the years, as well as the right subsequent care and the ability to serve the beer properly. The fact that our beers meet the strict quality criteria and are made following traditional recipes is proven by the listing for Czech Beer in the Protected Geographical Indications Register. Want to know what makes Czech beer what it is and what guarantee the Czech Beer indication offers for customers? We have given the world Pilsner Urquell, creating a new beer category, Pils. 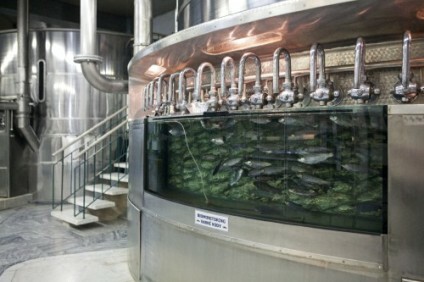 Nowadays we are at the forefront of the brewing industry in the Czech Republic and produce a number of popular brands. It is these brands that enable us to achieve our aim: to bring pleasure and enjoyment to beer lovers in the Czech Republic and all over the world. Beer is the Czech national symbol, a fact of which Czechs at home and abroad are rightly proud. The Plzeňský Prazdroj brands are part of our national heritage, Czech culture, and the daily life of Czech people. Plzeňský Prazdroj is at home in the Czech Republic. Our company has been based on Bohemia since the very first batch of Pilsen lager saw the light of day. This is where we make all the important decisions about our brands. We take a responsible approach to manufacturing and promoting our products, we support the development of the regions in which we operate, and strive to use natural resources as efficiently as possible. We also closely monitor the effect our activities have on the environment and strive to minimise any potential adverse impact we might have. Our success is based on the talent, enthusiasm and professionalism of our staff. We look after our people as well as we look after the quality of our beer. After all, they’re the most valuable assets we have. We are leaders in the brewing industry in the Czech Republic, providing jobs for tens of thousands of people. What is vital in making our products is maintaining our high quality standards and access to the available resources and ingredients. We respect nature and strive to use natural resources as efficiently as possible. Our breweries meet the highest environmental standards. We believe that when we are successful, the people living in the regions we operate in will be successful, too. We have handed out 85 million crowns in the areas around our breweries since 2001. We have supported hundreds of projects focusing on environmental protection and social development, which have helped to increase the quality of life of local residents. Lasting sustainable development has always been and will continue to be the essence of how we understand and run our business, which is why we care what goes on around us.